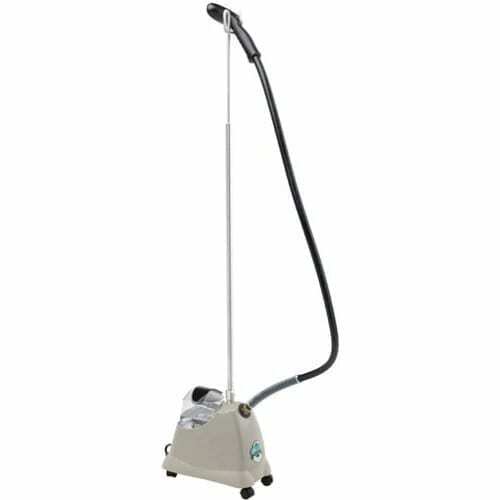 Need to steam the wrinkles from a few of your own linens or event fabrics? 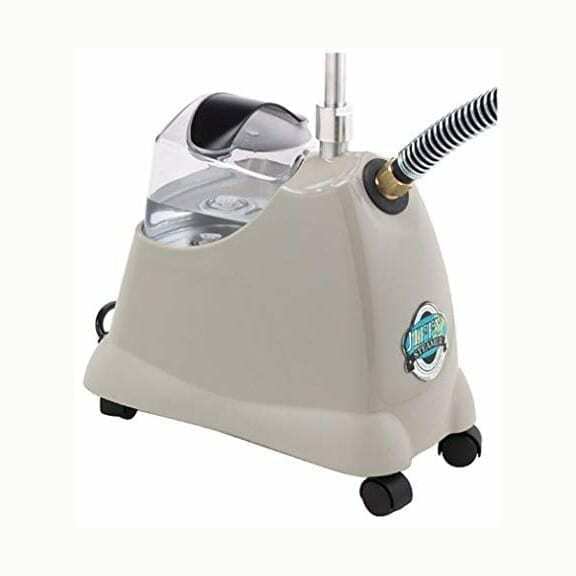 This garment steamer is a commercial steamer that works fast at steaming pesky wrinkles from common fabrics like polyester and delicate fabrics. Rent with a garment rack to help hang your fabrics after steaming. 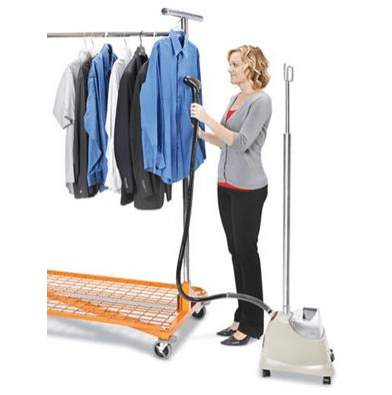 The unit has a holder at the top to hang your item, however we recommend hanging the item on a rack for easier and faster steaming.